The open lot behind Westminster Avenue Elementary School was damp from Jan. 13’s rain, and broken down cardboard boxes were sporadically placed for customers to wipe their muddy feet. Despite the grime, tents leading to spirited and diverse worlds and merchandise were set up under the steady stream of Venice sunshine. People mingled in and out of tents to try on handmade clothing, jewelry and lotions all to the steady sound of the lively music coming from the DJ’s speakers set up in the midst of the whimsical atmosphere. 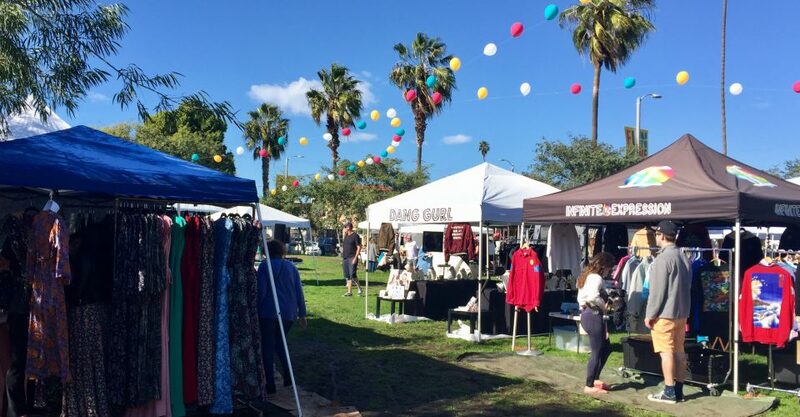 Artists & Fleas opened its second LA market location in Venice on Saturday, Jan. 14, held from 11 a.m. to 5 p.m., at Westminster Avenue Elementary School on Abbot Kinney and offered free admission to local art, handcrafted goods, food and vintage vendors. 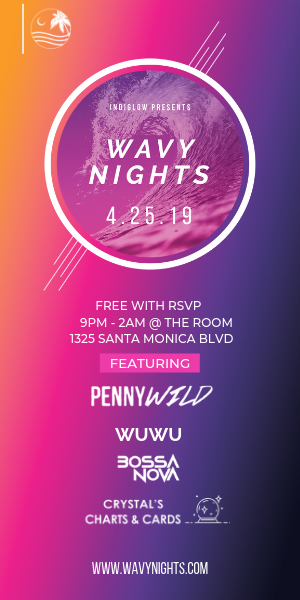 Every second and fourth Saturday Venice hosts Artists & Fleas, and every first and third Saturday Artists & Fleas can be found in the Arts District of downtown LA. 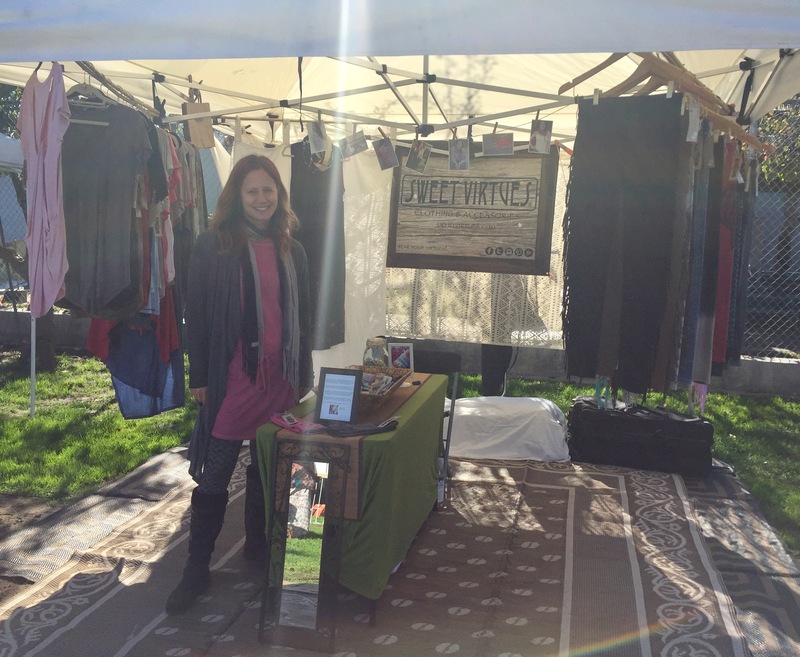 Sutthoff said she is inspired by dye techniques, cozy and comfy clothing that can be mixed and matched, and functions from work to yoga class. 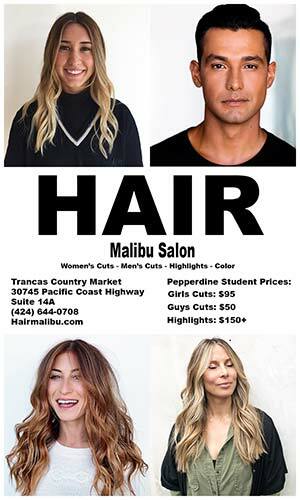 Her apparel and accessories are locally made and designed in LA. Sweet Virtues’ soft fabrics hung from the zen inspired tent over a patterned rug that covered the damp grass. Other clothing vendors included Infinite Expression that displayed vibrant graphic print, tie-dye and vintage shirts, Endless Summer‘s long floral dresses that delicately blew in the light breeze, and family-owned Sacred LA that offered kimonos designed by Chelsea Dingo and handmade by her nana in LA. 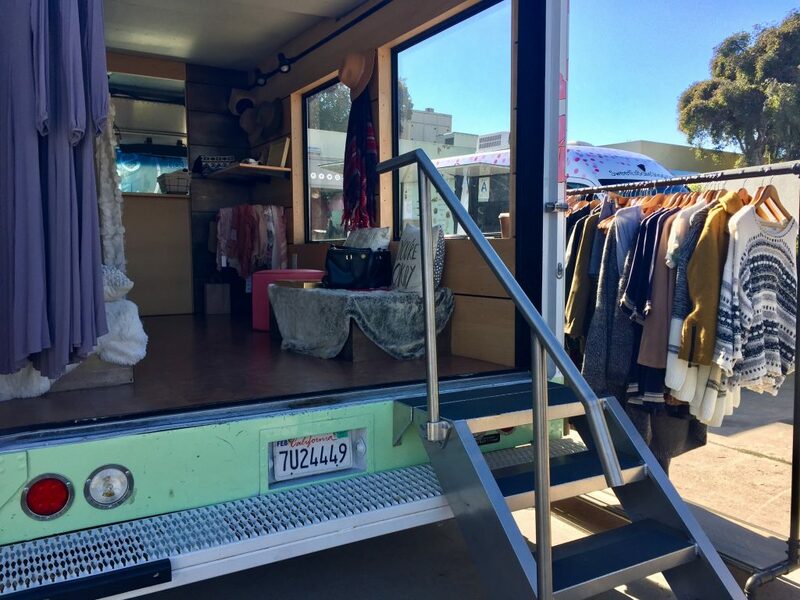 More than simply tents, other vendors such as Panik Ryder and Roam.e mobile boutique rolled up to the venue in style to offer clothing options for customers in walk-in trucks. 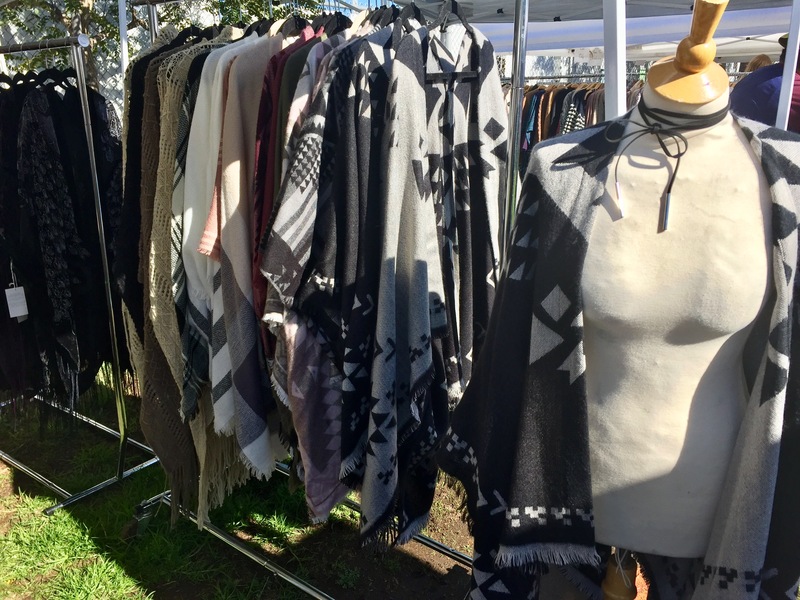 As for handcrafted goods, Rimanku‘s tent provided a kaleidoscope of patterns with handwoven Peruvian goods made from sheep wool and alpaca. Tablecloths and throws were neatly folded while tapestries up to 6-by-5 feet hung along the sides of the tent. The textiles are made by 15 women located in the southeastern Peruvian Andes and are represented by Nivardo Chavez, a man who met them after he moved from westernized Lima, Peru, to the middle of the mountains. Chavez said he became eager in the process after he met the women who created the textiles. Chavez said in the summer the animals in the village are sheared and in autumn the wool is dyed and woven. Once winter arrives, the textiles are able to be used, Chavez said. With a background in marketing and advertising, Chavez said he realized the old tradition of these handwoven goods should be shared worldwide. The generational creation of the textiles follow the grandmothers’ expertise through the complicated patterns. As for the simpler patterns, they can be attributed to the work of the granddaughters who are just learning the traditional craft. Other traditional items included an array of vintage vendors. 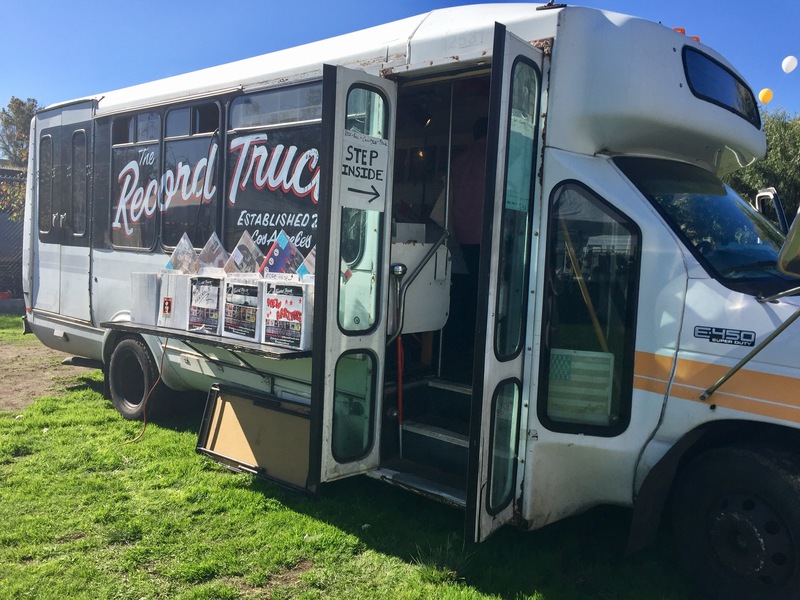 The Record Truck transformed a bus into a step-in record shop with vintage albums ranging from afro-centric sounds to humor, and punk to classic rock. Tattered white cardboard boxes contained frayed albums of the Beatles, Rolling Stones, and Led Zeppelin. The records ranged from $3 to $10. 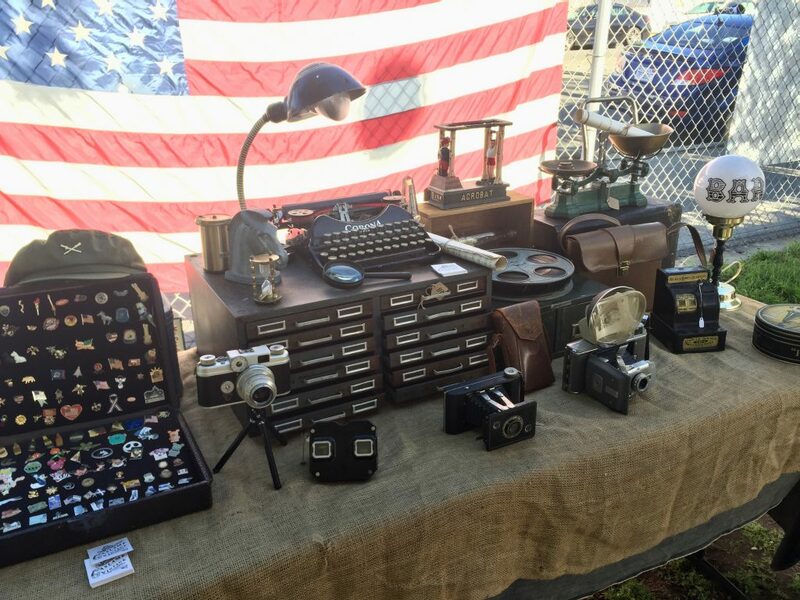 The tent of Gaslamp Vintage functioned as a time machine to a far off place of curated treasures such as rusted North Carolina license plates, old suitcases from unknown adventures, old cameras and film reels and a tattered Corona typewriter. 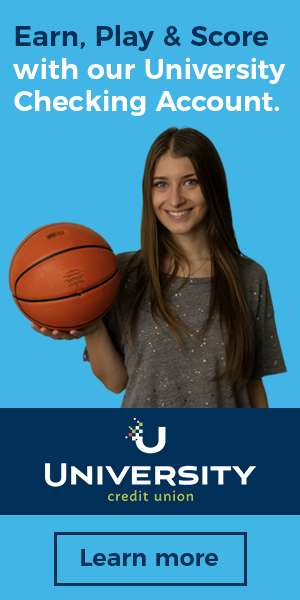 “There’s a quality and specialness tough to deviate from. We can’t match what they did but we can appreciate it and save it,” said Aimy Han, one of the collectors behind Gaslamp Vintage. Han and her partner said they became obsessed with collecting curated goods after they were tired of new merchandise that constantly broke. Artists & Fleas also displayed numerous tents with glitzy handmade jewelry such as Hannah Frost, Dang Gurl, Rose Gypsy and Janjoon Jewelry. Other specialty items included replay vintage sunglasses that reflected golden sun rays, HOMIES bedding and pillows, Sudsource organic and eco-friendly refillable body care-lotions, creams, soaps, scrubs, and body butter and dangling golden prisms filled with succulents at Urban Geometry. For visitors who worked up an appetite after perusing tents, Sweet E’s Bake Shop fulfilled sweet tooth cravings, Zugo‘s quenched coffee, tea, juice and smoothie thirsts and Farmers Belly satisfied organic panini, sandwich and salad hankerings. 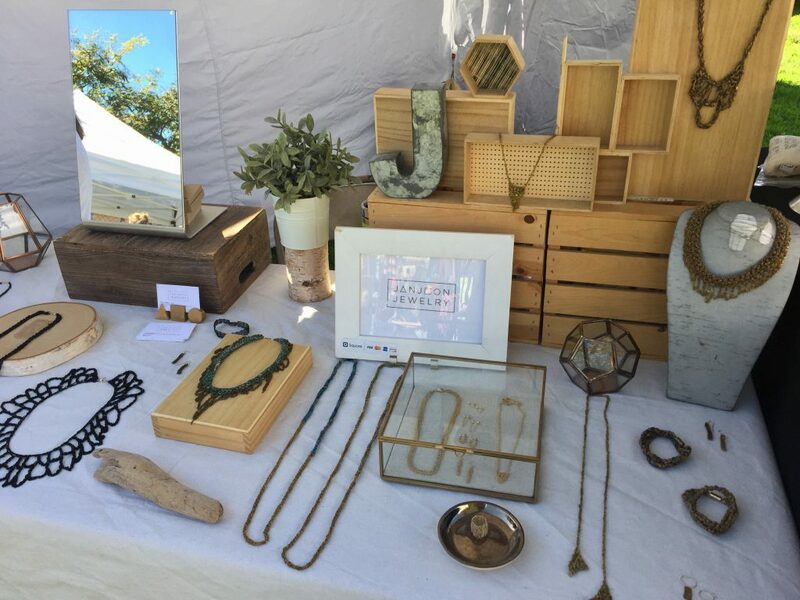 Despite all of the mud, the sun found a way to shine down on the people who came out to support local artistry and meandered throughout the array of tents set up at Artists & Fleas.